Abbots House may have been reviewed as “absolutely disgusting”, but its business is flourishing. Its owner is making a fortune from exploiting homeless people placed there by Edinburgh City Council. Instead of building homes to solve the housing crisis once and for all the Council persists in a mischievous plan funding private profit through public money against public interest. The housing crisis has seen Edinburgh City Council paying out £120,000 a week to hostels and B&Bs. While the numbers of homeless continue to grow, Edinburgh Council has been using rotten hostels and B&B as temporary accommodation. Whole families are being put in one room. Dirty and dilapidated rooms, filthy mattresses, disgusting shared bathrooms and toilets with no locks….. The shocking conditions in Abbots House and Almond House B&B’s were exposed in the Daily Record in August 2017 – with some of the residents describing them as more similar to prisons than homes – but things are now worse than ever. 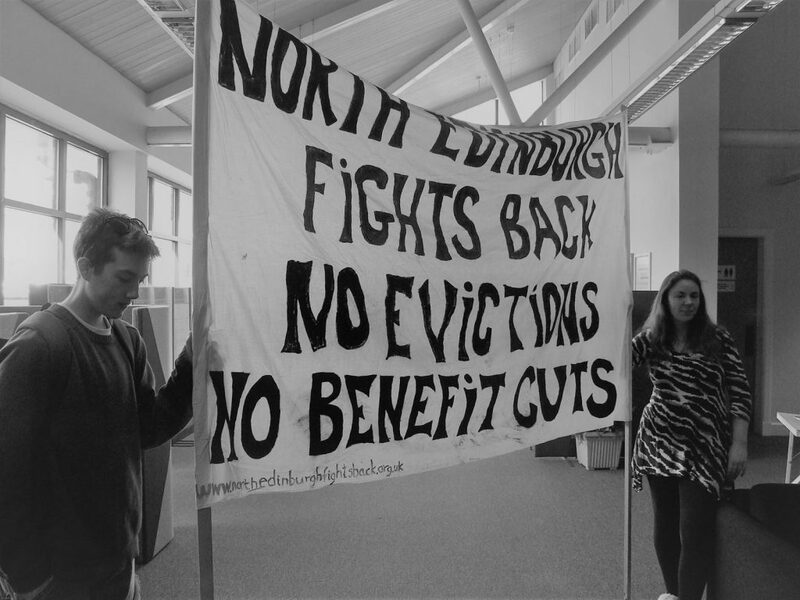 Last year people also occupied the Council North Office in Pilton on 16 and 17 May to demand the Council grant decent accommodation to one mum and her three children, evicted by her private landlord. She had only been offered totally unacceptable homeless hostel accommodation. Local groups ‘Power to the People’ and ‘All About Me’ were joined by activists answering the solidarity call by Edinburgh Coalition Against Poverty. Private landlords are profiting from extortionate rents, then brutally evicting tenants who cannot afford to pay. This is the urban clearances. 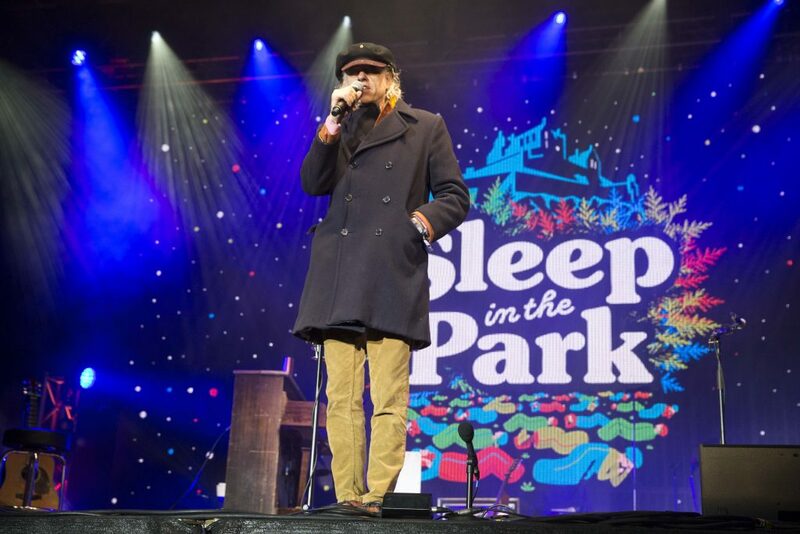 In contrast to the Sleep in the Park – “to end homelessness for good” – this is about solidarity, not charity, corporate PR or virtue signalling. David Black who wrote on the Tourist Cull a few weeks ago has claimed that several homeless people said they were “moved on” to make way for the Sleep in the Park event. This was at a meeting at the Augustine Church, on George IV Bridge, on December 7. If true it does put the Sleep in the Park approach in new light. “There are more than enough resources to build good homes for all. But profit is being put before people’s needs. Developers make more money from luxury hotels, shopping centres, and expensive private homes – the number of council houses in Edinburgh has fallen from 58,000 in the late 1970’s to under 20,000. In the meantime rents in Edinburgh are soaring, with entire neighborhoods being made unaffordable for working class people, displaced by luxurious hotels and private homes for the few. After years of succumbing to the logic of social cleansing of the city, Edinburgh is seeing a resurgence of direct action against the housing crisis. The group that is most significant in this wave of protest is led by mothers from North Edinburgh who have been affected by the cuts to housing benefit. “All About Me” contest the benefits cap as the reason why so many families are getting evicted and finding nowhere else to go. After a summer of protest including occupations of Council offices and meetings and the take-over of Tory party offices, the group has gained the small victory of the abolition of charges for homeless people taking their possessions out of council storage. Is any of this happening ? Probably not, but it’s worth an FoI request. One of the many things that disturb me is that in 2006 the council’s homelessness service was the subject of an inspection and given an ‘A’ grade. The best in Scotland at the time. Something has gone badly wrong since. There is a huge squeeze on housing. The population of Edinburgh is growing at 900 a month.